We take pride in our team of university-trained instructors, who use their professional experience as both educators and performers to foster each student’s music education. They are qualified to teach students of all ages, from toddlers to adults. Our instructors are versatile in all styles of music, from classical to jazz to rock and everything in between. Whether you are a novice or have been playing for years, we will help you achieve your musical goals. Since the age of four, AJ has extensively studied the piano with many renowned instructors. At age ten, he started establishing himself as a church accompanist, beginning in traditional formats, and later expanding to modern types. Music ministry has been the core of AJ’s musicianship; he even took on leadership roles for small music groups during college. By combining a classically trained background with modern creative knowledge, AJ has always felt the importance of applying theory-based music education to modern contexts. His speciality is piano improvisation, and that is 100% credited to his music theory and ear training education. For AJ, the learning experience is about relieving yourself from the burden of perfection. It is much better to embrace the inevitable hiccups along the way. The purest form of learning is embracing who you are, and allowing others to help you on the journey to be even better. Amanda has been studying violin, viola, cello and voice for over ten years. Her passion for music began at a young age and was strongly influenced by her family of musicians. 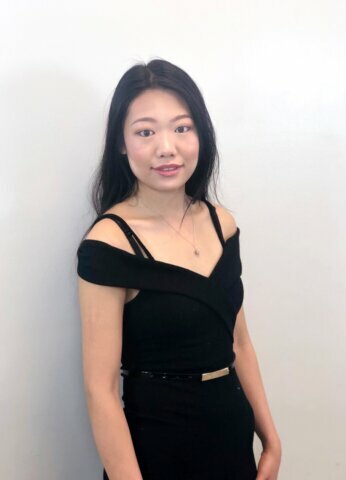 As both an avid instructor and performer, she has worked with orchestra students at the Usdan Summer Camp for the Arts for many years, and has performed as a soloist at the LIU chamber music festival. Amanda pursued a degree in Music Education at the Crane School of Music, SUNY Potsdam. There she was able to teach young students both privately and in a group setting as a student teacher. Amanda has also performed at Carnegie Hall, under the direction of Duane Wolfe. She has also studied with musicians such as Dale Stuckekenbruck, who was a protégé of Eric Friendman and Jascha Heifetz. Amanda believes in the values of music education and that every student can benefit from learning music. She strives to share her love of music with her students and inspire them to become great, well-rounded musicians. Beth is a music educator, multi-instrumentalist, and scholar who has been teaching private lessons for over fourteen years. Since beginning piano lessons at the age of four, Beth has also become an accomplished performer on the flute, oboe, English horn, and guitar. 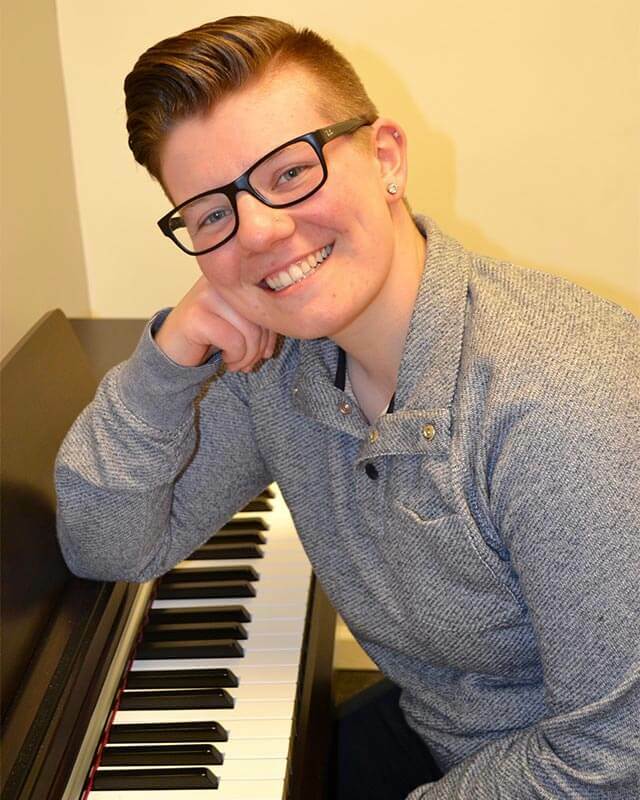 After being awarded a full, four-year scholarship to attend Brooklyn College in the Fall of 2004, Beth spent her undergraduate education studying both performance and music education. She was accepted into the Ph.D program in Musicology at the City University of New York’s Graduate Center in 2009. Since then, Beth has continued along two complementary paths. First, as a doctoral candidate, she has been an active scholar in the field of musicology and is currently finishing her dissertation work on madness in music of the 19th and 20th centuries. 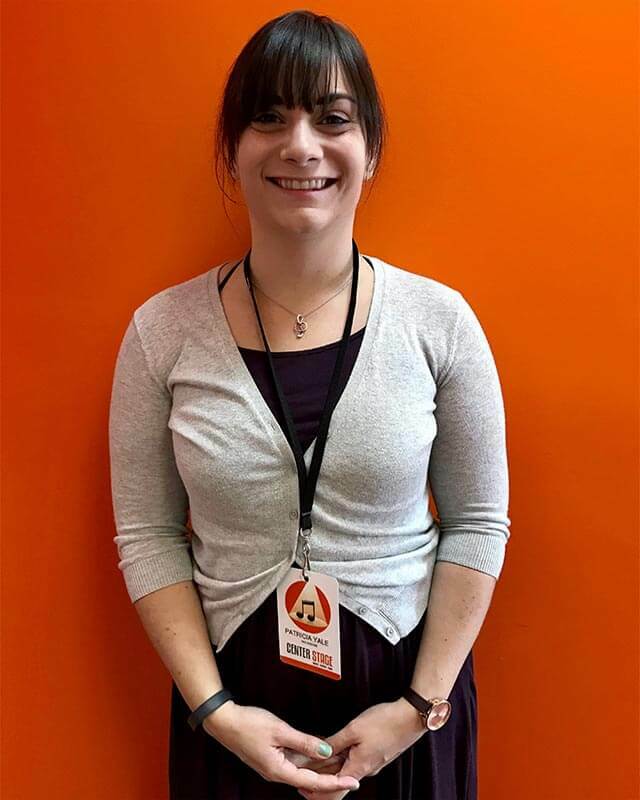 Second, as an educator, she has worked with dozens of students across New York City and Long Island as both a private teacher and classroom instructor. Though Beth has taught students of various ages, skill levels, and with a diverse range of musical interests, she has focused her teaching philosophy on catering to the individual needs of each one of her pupils across musical curricula. 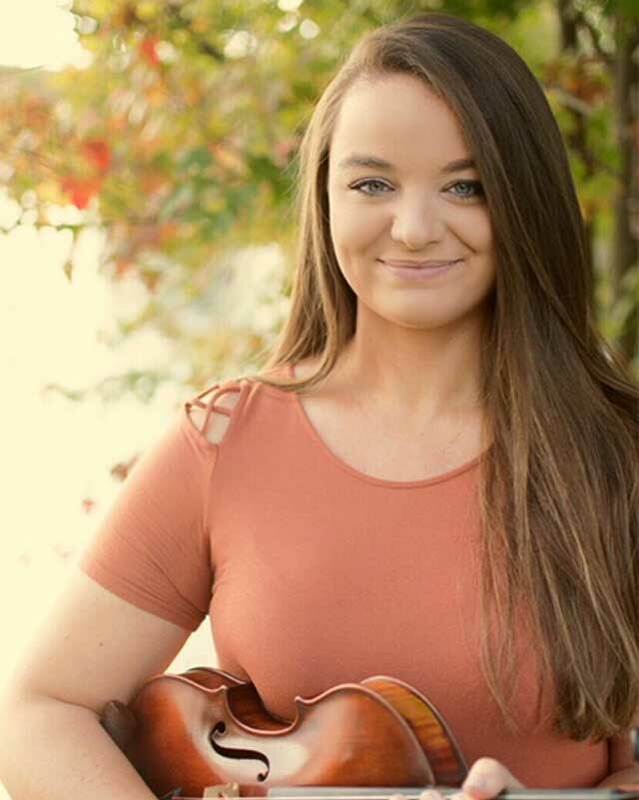 Her private students have thrived in their musical pursuits, participating in local music festivals such as NYSSMA and SCMEA, performing in school and private recitals, and successfully auditioning for university level music programs. 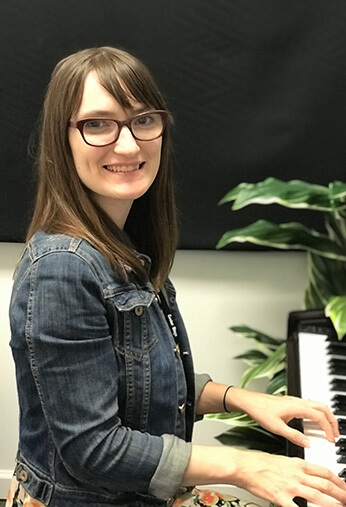 In addition to private teaching, Beth has also been an adjunct instructor at Brooklyn College and Hunter College since 2014, teaching undergraduate classes in music appreciation, American music, and keyboard methodology. Carrie finds inspiration as a teacher through an educators’ and performers’ standpoint. Throughout her time at Adelphi, Carrie made it her goal to perform as much as possible, with the thought in mind that a music educator cannot fully serve her students unless she is a successful performer. Carrie incorporates many different methodologies of instruction in her lessons. To Carrie, there is nothing more fulfilling than seeing her students succeed. She also believes that as a teacher, she is constantly learning through her students. She hopes to instill her passion for music in her students and looks forward to making music together. D’Metrius has been playing drums and percussion for over 10 years. He has experience playing and teaching the drum set, classical percussion, Latin percussion and piano. As a performer he has played in the pit orchestra for theater productions such as Into the Woods and Beauty and the Beast. D’Metrius also plays regularly with a variety of different performance groups such as Balinese Gamelan, a salsa band, and a contemporary Christian rock group. He is also an experienced teacher in and out of the classroom. D’Metrius has prepared students for NYSSMA on all levels of snare drum and mallet percussion. D’Metrius also teaches after school programs in Queens and directs the Glen Cove High School Drumline. He believes in cultivating and expanding students’ musical interests to make them better drummers. Dan has been studying and playing the guitar and bass for 19+ years. Each of his instructors growing up has helped to mold his style of playing, giving him a diverse perspective and sense of style on each instrument. 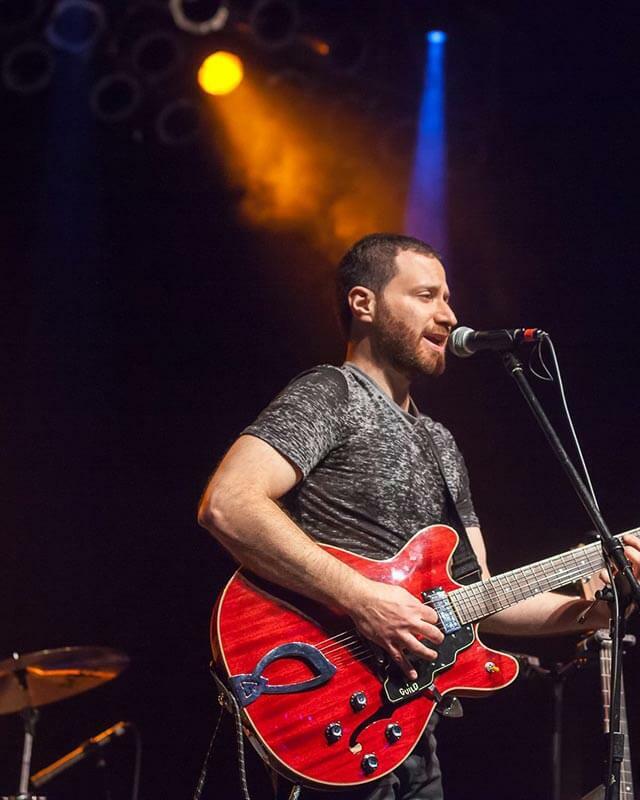 Dan is a professional studio musician and has performed in various bands on Long Island, including playing in the backing band for Robbie Rosen of American Idol. 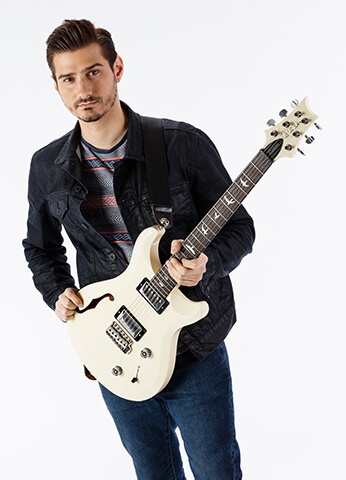 As a performer, he has played for Fox’s Good Day New York and has shared the stage with some of the biggest acts in the industry, including Ed Sheeran, Shawn Mendes, Kings of Leon, Stevie Wonder, Keith Urban, Billy Idol, Jane’s Addiction, Shinedown, Staind, Of Mice And Men, and countless others. His performing experience has given him great insights to which he shares and applies to teaching his students. He introduces his students to the basics of guitar, bass and ukulele as well as motivates and informs students of the importance of practice and persistence. These are some of the key elements he likes to emphasize when teaching. He also helps to develop the students’ ability to utilize their own creativity by allowing them to come up with their own ideas. This motivates students to continue learning as well as helps them to gain a passion for the instrument. 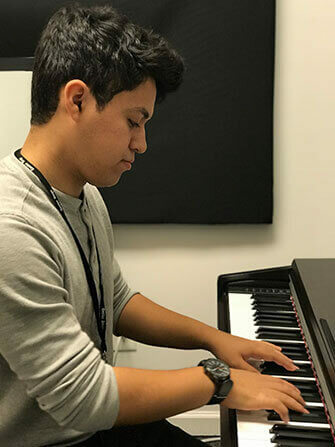 Daniel has been playing the piano for over fifteen years and is finishing his Bachelor’s degree in Music Education at Queens College; Aaron Copland School of Music. Experienced in many genres of music, such as classical, jazz and musical theater, Daniel is able to offer his students a comprehensive education. A multi-talented instrumentalist, Daniel is also proficient in the drums, guitar, bass and trumpet. 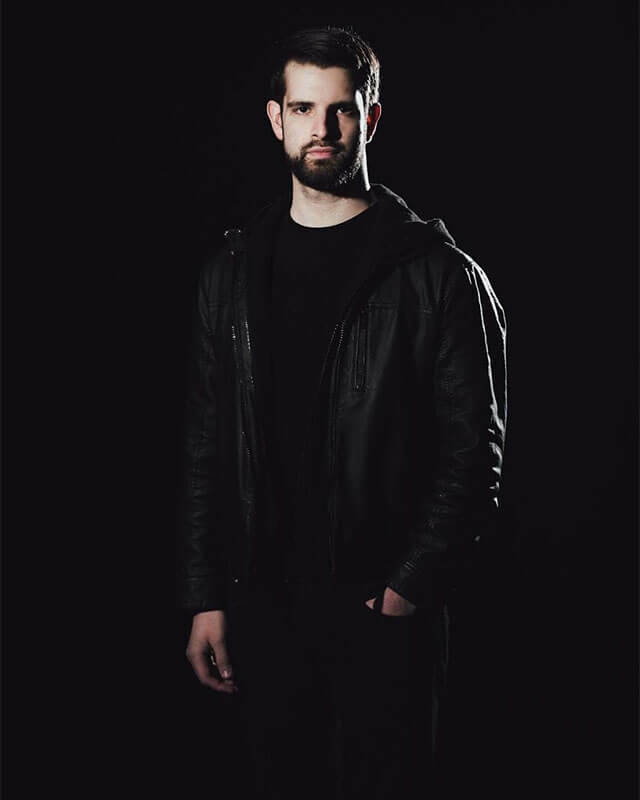 Daniel has played piano, bass and guitar in various rock bands across Long Island, and also plays the drums and trumpet in the Queens College Wind Ensemble. He has also worked in various theaters across Long Island for over six years as a musical director and pit musician. Daniel believes that the teacher is the most important factor in whether or not a student continues pursuing music. A teacher has the responsibility to make learning music fun and enjoyable for all students and Daniel hopes that he can instill a passion for music and learning in every student he has. 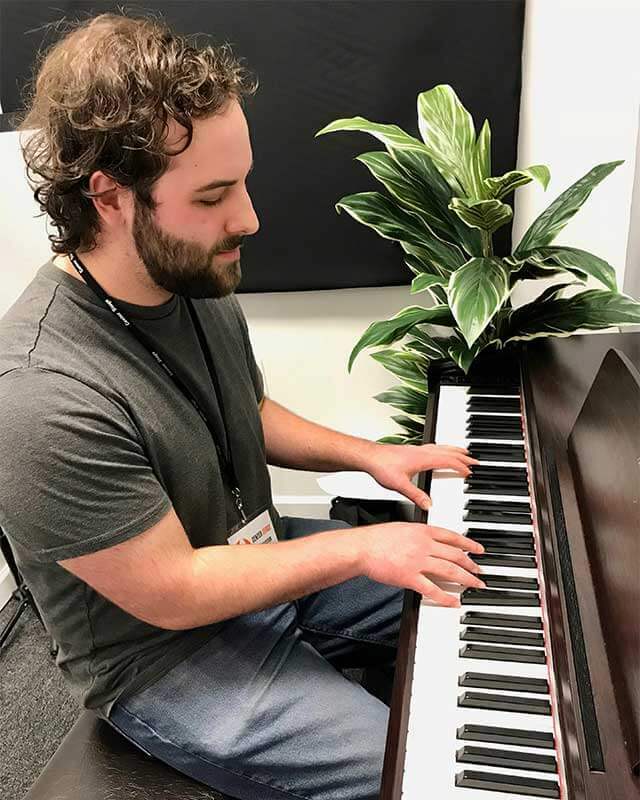 David Voss is a versatile piano instructor, teaching his student’s not only technical skills, but also music theory and songwriting to those who are interested. 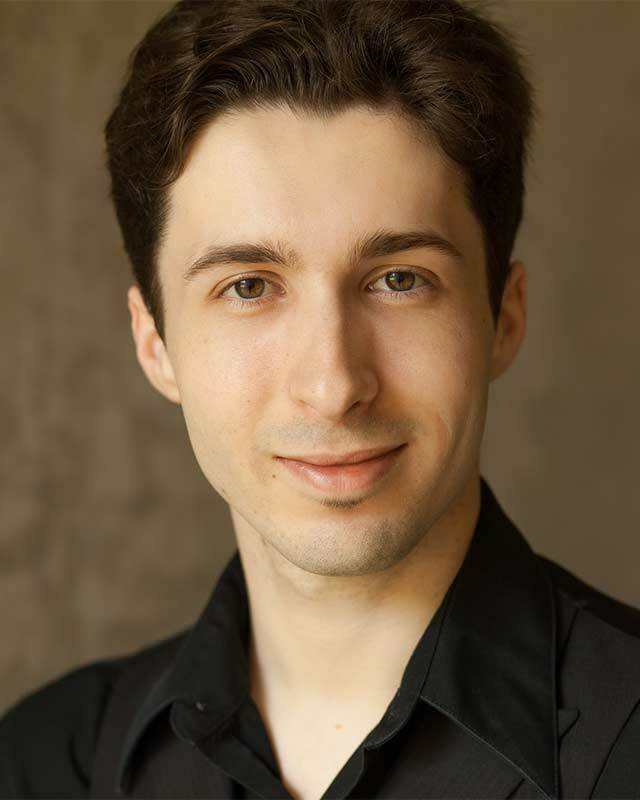 He has studied piano with Nancy Terhorst, Catherine Kautsky, and Luba Poliak, and has worked previously as a piano instructor in the Chicago suburbs. He has also worked extensively as a collaborative pianist in the voice studios of Teresa Seidl and John Gates. Active as an accompanist working for churches, orchestras, and choirs, David has performed with the Lawrence University Concert Choir, as well as with the Santa Rosa Symphony Youth Orchestra and the Lawrence Symphony Orchestra on piano and celeste. David is committed to helping his students pursue their musical goals and providing them with the tools to help realize their own ambitions. Eric has been playing the guitar for over twenty years and has been teaching private guitar, bass and ukulele lessons for about five years. An avid performer, Eric has been playing guitar in various blues, country and rock bands for the past fifteen years. His current band, The Grand Central, has performed over 1000 gigs in 27 states across America, including being the first NY based Country band to become the House Band of the world famous Bill Bob’s in Texas. As an educator, Eric prides himself on being able to motivate and inspire his students to develop a passion for performing while helping them master technical skills. He is patient and believes that learning music should be a fun experience. He hopes to instill a passion for music in each of his students that they can carry with them for the rest of their lives. 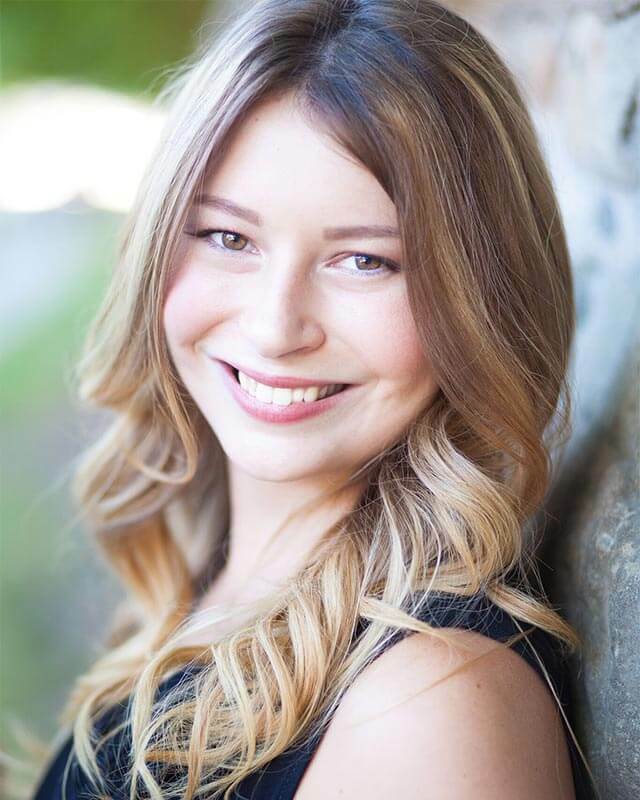 Erica is well versed in many different styles of voice including classical, opera, musical theater and jazz. She began studying voice privately at age 16 and went on to study piano and voice throughout college. She received her Bachelors degree in Music from Adelphi University, where she studied vocal performance and education. While there, she had the opportunity to perform as a soloist and with many different ensembles. She then went on to teach mommy-and-me music classes, pre-school music classes, and private lessons. 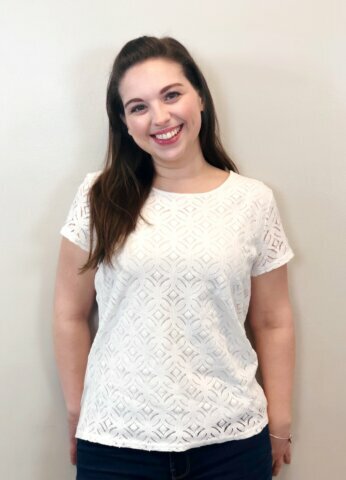 Erica recently graduated in December 2018 with her Masters degree in Music Education from Long Island University, C. W. Post. While getting her masters, she had the opportunity to work in a general music setting, chorus setting and musical theatre setting with students ranging from Pre-School to High School. In her teaching, Erica believes in the importance of including more than one methodology to ensure all students have the opportunity to be successful. She truly believes that teaching is a work of the heart and she loves being able to share her passion for music and teaching with her students. Esther began her musical studies with piano from the age of three, violin at age seven, and voice at age fourteen. Her love for music continued to grow throughout college and she graduated with a double major in Music Performance and Business. She has performed at renowned music venues such as Carnegie Hall and Lincoln Center, both solo and with ensembles. She has been concertmistress of the Metropolitan Youth Orchestra Principal Orchestra directed by Scott Stickley, and first soprano in the Chamber Chorale with Edward P. Norris III. Throughout her musical career, Esther has had the privilege of working with musicians such as Ola Gjeilo, Molly Mustonen, Darla D. Diltz, and Keith and Kristyn Getty. Aside from preforming, Esther loves teaching students of all ages and enjoys bringing music into everyone’s lives. Jen began playing the piano at the age of seven and has been singing for as long as she can remember. Jennifer plays and sings a variety of genres such as classical, pop, jazz, and many more. She is the lead vocalist and pianist in her church’s praise band and founder/musical director of Paws and Rewind, an up and coming a cappella group from Adelphi University. Jennifer believes that music should be a way for people to gain confidence and that music can be an outlet for students to express themselves. As an educator, Jennifer hopes that she can inspire her students to do what they love and to pursue their dreams. Karina has been playing the violin since she was nine years old. Throughout the years she excelled within various performing groups and was given the title of Concert Mistress from grade 7 through grade 12. Throughout the years, she was a member of the Gemini Youth Symphony Orchestra, and the Usdan Orchestra IV. During her time at Post, she furthered her studies in violin, viola and cello and received her Bachelor’s in Music Education. Karina has been teaching students of all ages for over seven years. 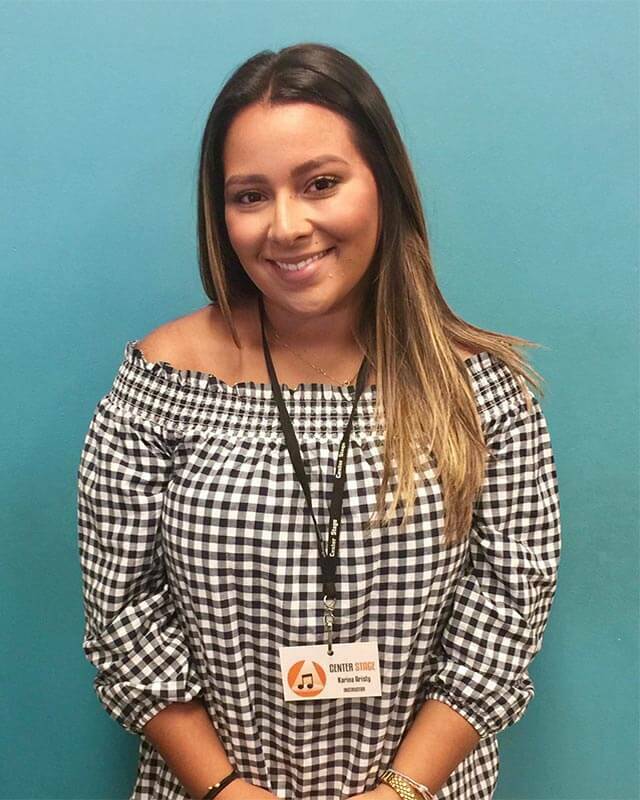 She highly believes in the value of a well-rounded education and makes sure that all of her students can read, write and perform music to the best of their ability. Marc is a professional musician and instructor with a Bachelor’s Degree in Performance from The Conservatory of Music at SUNY Purchase College in New York, where he graduated at the top of his class. Proficient in both the guitar and drums, he has been studying both instruments for over 20 years. Marc began his musical studies with the percussion/drums in school ensembles, and moved on to pursue private lessons in the guitar. As a multi-instrumentalist, he also teaches beginner bass as well as beginner piano students. Marc teaches students from all over the world as a result of his band, Painted In Exile. He excels in teaching a wide variety of differing styles, from beginner to advanced students. He always concentrates first and foremost on the interests and needs of each individual student. Michael Deering is a New York based percussionist with over ten years of experience as a performer and teacher. Growing up, he received a musical education that has inspired him to pursue diverse interests from new and world music, to classical, to rock and jazz. As a musician and educator, Mike’s goal is to engage people with music to make every experience positive and impactful. Mike received a Master’s Degree in Percussion Performance from the Aaron Copland School of Music and a Bachelor’s of Music in Music Education from Montclair State University. 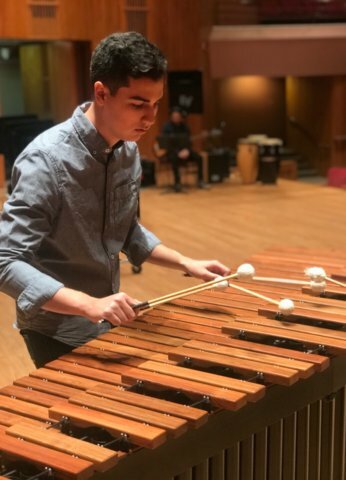 Throughout his education, Mike has had the opportunity to study with world-renowned percussionists Michael Lipsey, Javier Diaz and Matt Ward. As a versatile performer, he has played with various ensembles including The Unsemble, Queens College Percussion Ensemble, the ACSM Orchestra, Gamelan Yowana Sari, and the Harry Partch Ensemble. Mike has also worked with various ensembles including Ridgewood Marching Band, Rahway Percussion Ensemble, and Mantra Youth Percussion, whose work has been described by the New York Times as “ear-opening.” As an educator, Mike has taught privately for over ten years students of all ages and experience levels. 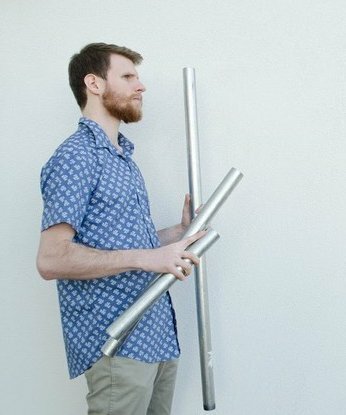 He places an emphasis on sound technique and aims to expose his students to the many possibilities that percussion offers. This gives his students the ability to find their interests and have the skills to follow them. Patricia Yale is a NYS certified music educator. She teaches all band instruments, specializing in woodwinds and brass. She has been teaching private lessons for over ten years to students of all ages. Currently, she directs the band, jazz band, and teaches AP music theory at the North Shore Hebrew Academy High School in Lake Success. She fell in love with teaching band from her experiences in the Sayville Music Department during middle and high school. Ms. Yale brings her enthusiasm and love for playing to her students. She focuses on the positives while aiming to build confidence and technique in each musician she works with. Stephanie has been playing music her whole life and is constantly searching for new musical experiences. She is a co-founder of Adelphi’s very first a capella group, of which she used to sing and beatbox for. She has been singing and playing the piano for many years, and is proficient in teaching a multitude of styles, ages and levels. Stephanie is also a songwriter as well, and won the Adelphi’s Got Talent show with a song that she wrote for voice and guitar. Stephanie has a vast background of teaching, and loves to share her knowledge and experiences with people who aspire to be the best musicians they can be. 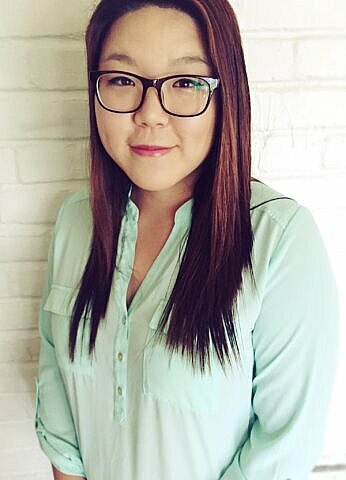 Musicians of all ages come with strengths and weaknesses, and Stephanie excels at helping students expand upon their strengths while improving their weaknesses. Music is innate in all of us and Stephanie would love to be part of the journey of many aspiring musicians. Syed received a Bachelor of Arts in Music Education from the Aaron Copland School of Music at Queens College in May 2017, where he focused in brass. Syed has also received a NYS teacher certification in Music K-12. During his time at Queens College, Syed has performed in renowned venues such as Lefrak Concert Hall, David Geffen Hall (formerly Avery Fisher Hall), Bohemian National Hall, and Flushing Town Hall. 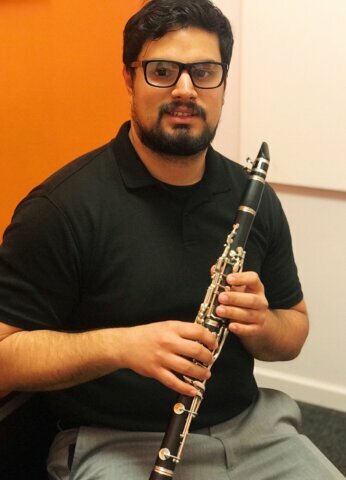 Syed is also a 2016 recipient of the Sol Kroll Award for Music Education and a 2017 recipient of both the Brass Alumni Award and the Student Teacher Award at Queens College. Since 2016, Syed has spent his summers teaching private music lessons in brass, woodwinds and keyboard for the Town of Babylon Summer Camp. Syed is a qualified NYSSMA instructor, which he has achieved great success with all levels of brass and woodwinds. Syed believes that every person should come out with a positive experience when learning music. He stresses the importance of making sure that everyone is in a friendly and comfortable environment for a music lesson and that everyone deserves to hear positive feedback from their instructor. Syed believes that when people learn something they enjoy, they want to teach others as well as share that experience to others. This is why it is important to Syed that every student deserves a positive experience with learning music. Dr. Tom has been teaching for over seven years. As a performer, he is currently writing and recording music for his western rock band, The Grave Jinglers, and they have performed in many famous rock venues including the Paramount in Huntington. The Grave Jinglers have released two studio albums, one of which, “Reign of the West”, charted at #234 on the Americana Music charts nationally. Their single “Doo Wop in the Restroom” was placed in the independent film “What Happened Last Night” and is on the soundtrack distributed by Sony Records. Their single “Don’t Waste My Time” was aired on The Disney Channel on a “Make Your Mark” series that spread awareness for Tourette’s syndrome. Dr. Tom has previously studied with select members of the NYC Metropolitan Opera, Binghamton Symphony Orchestra, and Philadelphia Symphony Orchestra. His favorite thing about teaching is identifying the personal attitudes, experiences and nuances unique to each student and assisting them in channeling those particulars through the music. He shares his knowledge of performing, songwriting and technique to each lesson, leaving his students with a comprehensive music education. 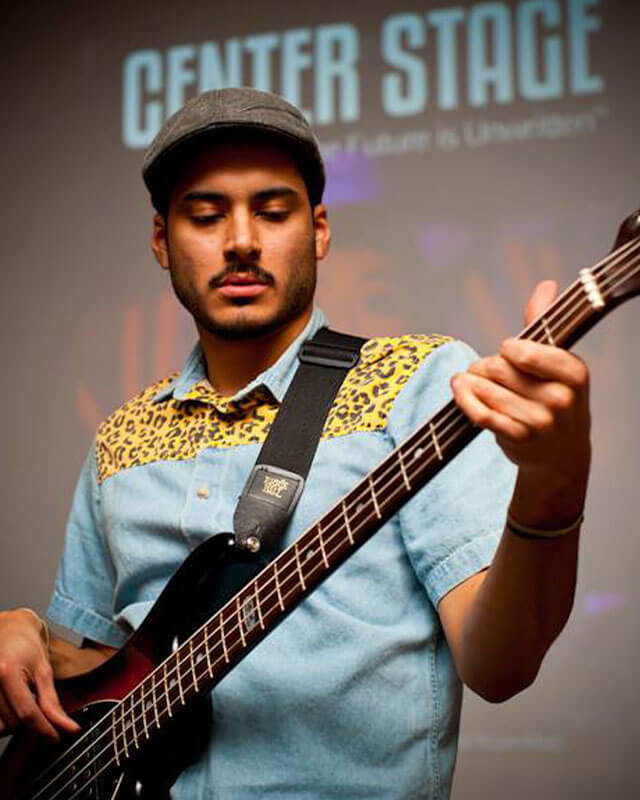 Ulises Amaya is a New York State certified K-12 music educator and multi-instrumentalist from Long Island, New York. As an active educator for over six years, Ulises is well versed in both classical and jazz pedagogy. 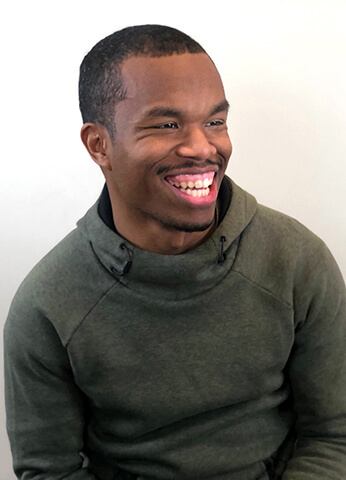 He has worked with elementary and middle school orchestras/choruses, and has had the pleasure of teaching PreK-8th grade general music in the Bronx. In addition to his time in a formal school setting, he has taught private bass, guitar, and drum lessons for many years. Alongside his years of teaching, he continues to be an active performer and has played numerous NYC venues and east coast music festivals. Ulises uses his performance knowledge and leadership skills to direct our Rock the Stage band program. As a lead writer for Center Stage Magazine, Ulises brings his creativity and vast musical knowledge to write articles that are thought provoking and sure to spark any music lover’s interest. He brings an infectious enthusiasm for music to his teaching and seeks to instill strong musical foundations in all of his students. Vincent Muscarella is a multi-instrumentalist and educator who prides himself on making sure every student becomes an independent and well-rounded musician. 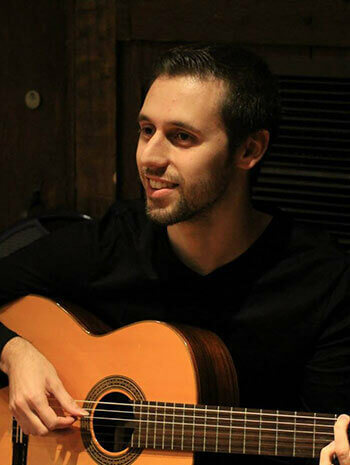 Vincent holds a Bachelor of Music degree in Music Education, and is currently completing his Masters in Music History and Literature at LIU Post. Music has always been the center of Vincent’s life, from taking lessons in his younger years to student teaching and performing in his formative years. As a performer, Vincent currently plays in an 8-piece ensemble that performs all across New York, as well as up and down the east coast. As a teacher, the educational philosophies of composers/musicians, such as Dalcroze and Gordon, have helped shape Vincent’s teaching style to be able to cater to the individual needs of every student. Vincent believes that being able to read music is equally as important as ear training. Experimentation, asking questions, and making mistakes are all key factors that go into creating great learners and great musicians.